So I activated the new Samsung S5 Sprint device on the account with the new number 980-281-1995. I would like this device to replace the HTC 210 that is currently on the account and have the original 980-429-4900 number moved to it. Our team will gladly help you with this issue. Please provide us with both devices' MEID (MAC or DEC) numbers so we can take a closer look at them. Also, before we modify your account in any way we want to make sure we're on the same page. Do you want the devices to be swapped or would you rather we only swap the phone numbers? As I was instructed, I activated the new to me phone on freedompop. that is the 980-281-1995 number. IMEI 99004696856313 with the ICCID 89011200002426684556. What I would like is to have the 980-429-4900 Freedompop number moved to the above mentioned phone. 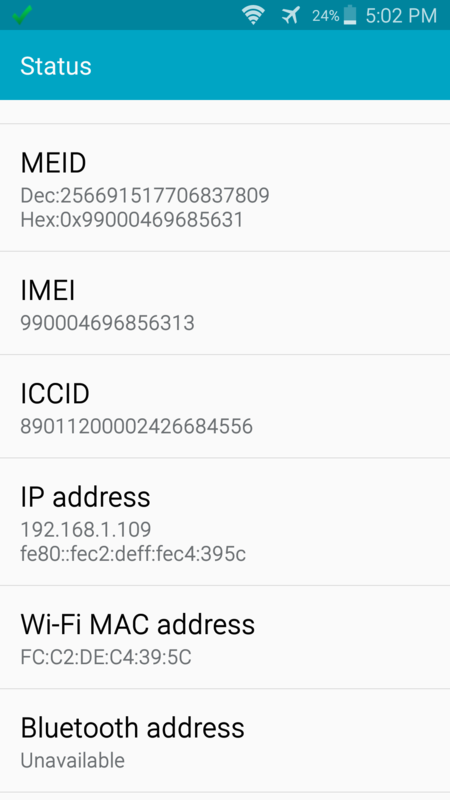 Attached is the IMEI and ICCID info screenshot for the new phone. I apologize but in your first message, you mentioned swapping the devices between the accounts and in your last message you requested to have the phone numbers swapped. These are two different actions and swapping phone numbers will not changing the account settings on the device but swapping the devices will. Which would you rather go with? Just swap the phone numbers is fine. I really just want the old 980-429-4900 number on the new phone that I shared the IMEI and ICCID screenshot. We have successfully swapped the phone numbers between the accounts requested. Please turn the working device off and back on and let us know if it works properly.